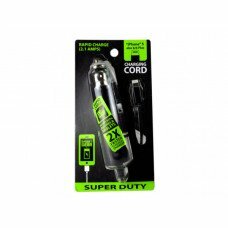 Easily charge devices in your car with this iPhone USB Car Charging Cord featuring a 2.1 amp charger made of durable plastic and metal with a coiled cord and USB connector. 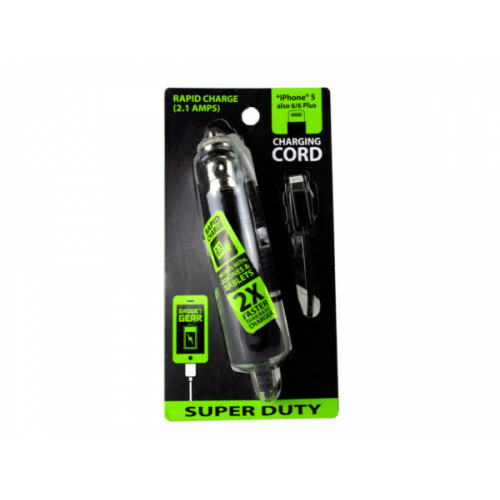 It is heavy duty and charges your device quickly It charging cord is black and white. Comes packaged in a blister pack.